On that meltingly hot Sunday of 18th June I raced through the streets of Hackney to catch up with Sandor Katz. 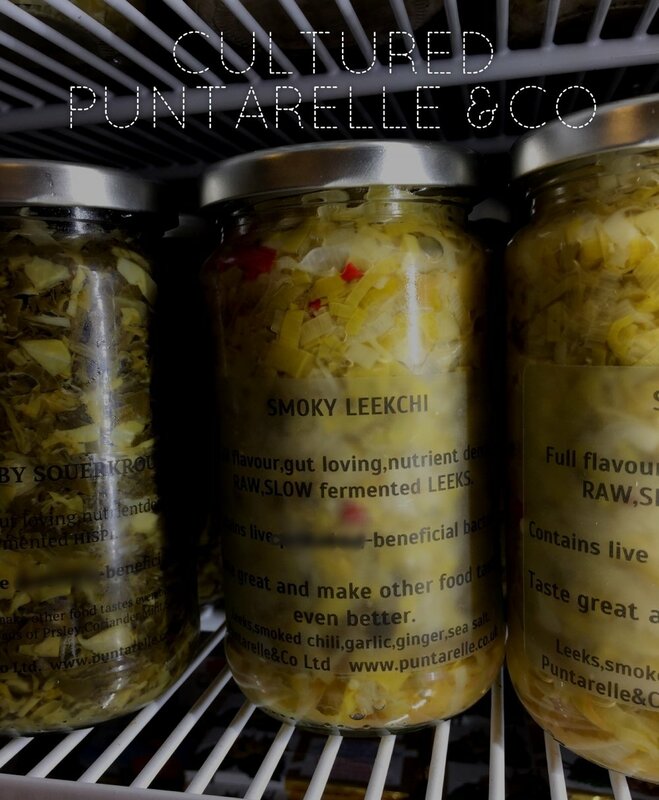 Recognised as one of the world leaders in fermented vegetables, this was someone I had to meet and his Fermentation Seminar, as part of London Gastronomy Seminars, was the perfect opportunity. In a packed and steamy upper floor I learned his perspective on the fermented vegetables I have grown up with and now produce for sale. As Sandor explained, it’s a mere 150 years since science brought us insights into how fermentation works, yet there is evidence that man has been successfully fermenting for at least 10,000 years. Ferments are foods associated with survival as they provide nourishment through the lean months of winter. Sandor pointed out how ‘Pickles’, where the vegetables are effectively sterilised, are often confused with ‘Ferments’. Fermenting, in contrast, actively encourages the healthy bacteria naturally present. Through bacterial transformation toxic compounds are removed, food is preserved, made easier to digest and flavour is added. The health benefits of ferments derive from the activity of pre-digestion where the proteins are broken down into amino acids by lactic acid bacteria (so called because this was first observed in milk). Vegetables are fermented by wild fermentation – no deliberately added bacterias, simply utilising what is naturally present. Sandor pointed out that salt adds flavour but is not essential and length of fermentation is according to preference. Austrians typically expect their Sauerkraut, for example, to be soft. Others prefer more crunch. Most Sauerkraut, he reminded us, is now pasteurised and therefore has none of the beneficial qualities of its wild-fermented original. Food safety was discussed and Sandor re-iterated that the US Department of Agriculture cannot find one example of food poisoning from wild fermented vegetables in the US or in countries they share data with. Science has proved that if fermenting is carried out correctly, bad bacteria like salmonella and e-coli are unable to survive in such an acid environment. I came away from the seminar reassured to find I have a fellow natural fermenter spreading the word on the fascinating world of Ferments.